The Montessori teaching method allows children to progress in an atmosphere of freedom. 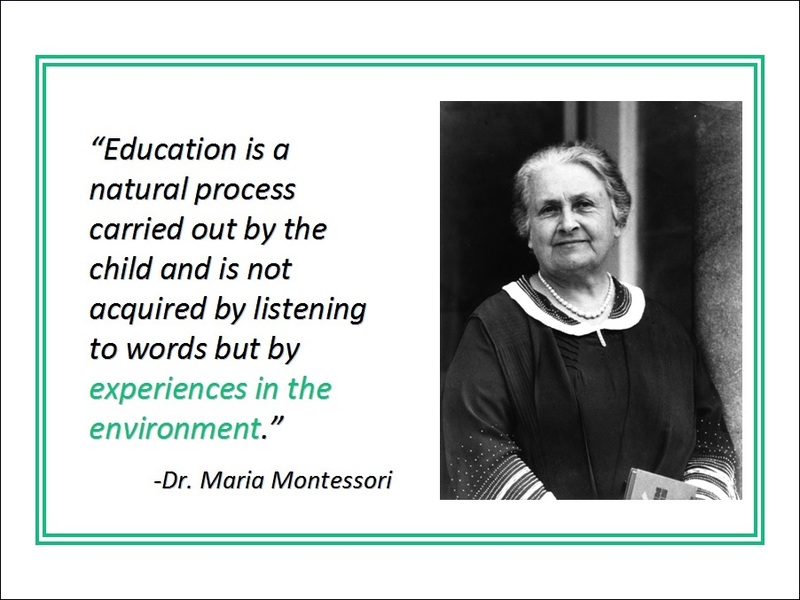 Italian physician, Dr. Maria Montessori, found those children who pace their own development through a series of sensitive learning periods where they became acutely aware of language, order, their own senses, and society to perform better. Her methods encourage these periods to explode into bursts of creativity, reading, writing and passionate curiosity. The Montessori directress guides each child through a program structured to meet his/her academic and psychological needs. Practical life: These exercises are designed to coordinate the brain, muscles and senses. These activities are real-life experiences that the child learns to master in order to become independent in his or her environment. Sensory education: These exercises allow children to use various Montessori materials to educate and refine their senses. Language: Language skills begin with learning the alphabet using sandpaper letters and progress all the way through phonetic skills. The program includes language development, learning how to read and write, and grammar skills. Mathematics: Mathematics skills begin with using number rods and sandpaper numerals to give a muscular sensory understanding of numeration. The concept of addition, subtraction, multiplication, and division are taught with concrete materials. Other topics of learning include, but are not limited to, Science, Geography, Art, & Music.